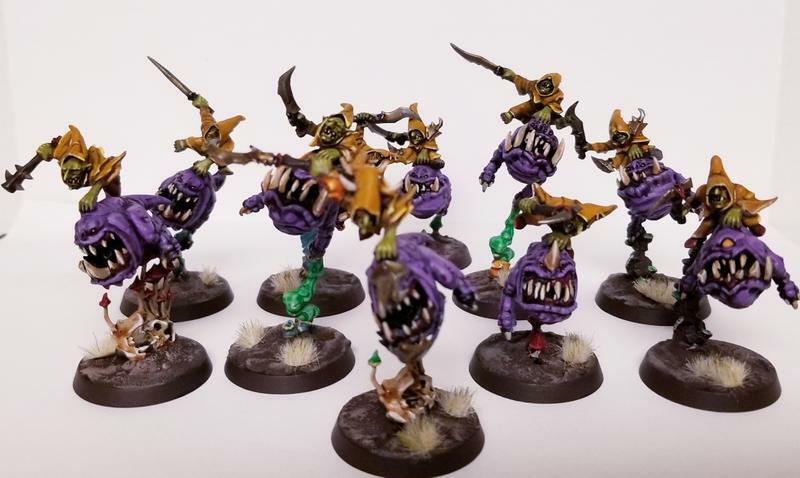 Squig hoppers are done. 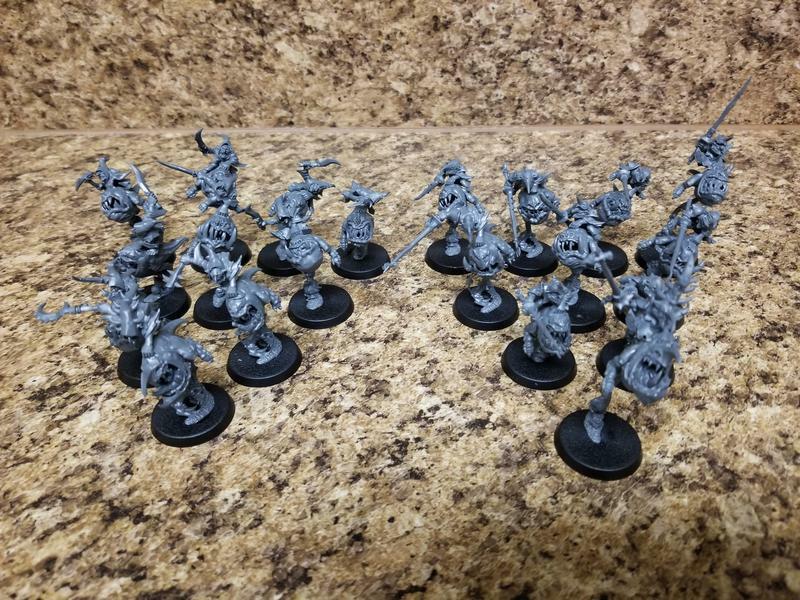 180 points assembled and painted for the month. 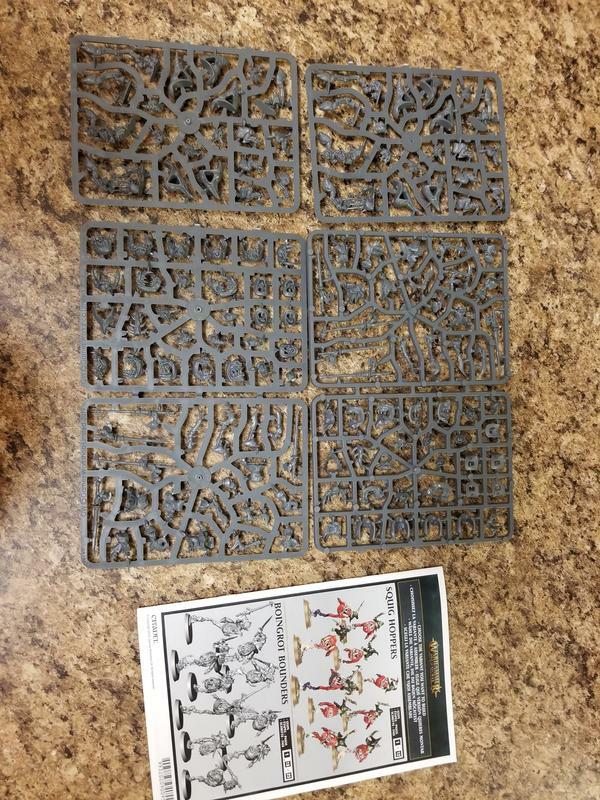 More to come, I have Skragrott, loonboss on mangler, and a dankhold before the big push. 100 grots in a single batch.